Благодаря более 5000 встроенным векторным символам, которые понадобятся вам при создании диаграмм и графиков, рисование никогда не было таким легким. Вы сможете создавать широкий спектр бизнес-схем и презентаций на основе встроенных в программу шаблонов и примеров. Программа edraw max pro поддерживает работу с вкладками, благодаря чему вы сможете работать с несколькими проектами из одного окна одновременно. Edraw Max is definitely the easiest and fastest visualization software to create diagrams of any kind for any user, whatever his role is. Unlock your creativity with this easy-to-use intelligent software. Imagine with free templates. Design easily. And create amazingly. Fully compatible with Windows, Mac and Linux. 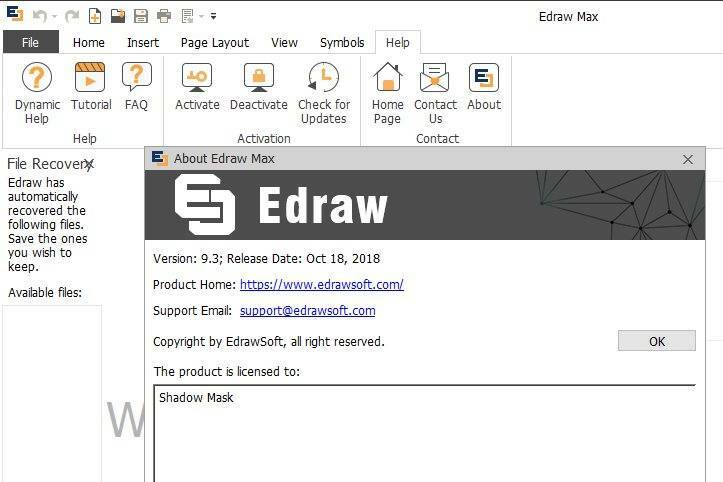 Edraw 9 Pro can simplify the creation of over 260 types of diagrams, empowering even novice users to build professional-looking and presentation-quality graphics. It helps to visualize information, enhance understanding and promote communication for better decision making. With diversified libraries and over 12000 vector symbols, drawing is easier than ever! Get started quickly with the extensive templates and examples, new and updated shapes, and out-of-the-box drawing tools. It is as easy to use as a word processor. Users work in an intuitive interface, with no prior experience required and without learning curve. Thus, Edraw Max enables you to build better diagrams in only a few minutes. You can rapidly turn any diagram into a gateway of information by linking it to websites, attaching documents, adding annotations, or even linking it to other Edraw visuals. They are smart infographics that anyone can create. There are dynamic user guides within the software showing automatically. Together with the easy-to-use interface and in-built templates, even novice users can create professional and great-looking diagrams instantly. Therefore, Edraw 9 has become one of the most popular diagramming solutions, gaining over 10 million downloads. new function Added the HTML5 style share feature. new function Added the multiple pages HTML export. fix bug Added the deactivate feature. new function Fixed the bug to print the curver text. fix bug Support to create theme connector style.